AMD just announced quad-core Ryzen laptop CPUs with Radeon Vega graphics. And, surprise, you'll see AMD in Chromebooks too. 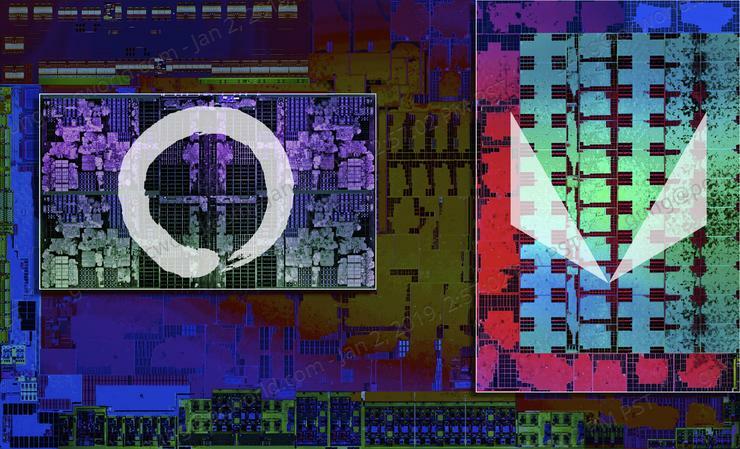 AMD’s Cinderella story started with desktops and workstations in 2018, but for 2019 the chip company is extending its reach into laptops with new Ryzen with Radeon Vega processors. And Windows laptops aren’t the only beneficiaries of AMD development. Surprise! AMD is also releasing Chromebook parts, which we discuss at the end of this story. The Ryzen lineup will include a pair of Ryzen 7 quad-cores, a pair of Ryzen 5 quad-cores, and a pair of Ryzen 3 chips. The Ryzen 7s and Ryzen 5s all feature symmetrical multi-threading (SMT) to double execution threads to eight. The Ryzen 3 3300 gives you quad-cores, but switches off SMT. The lowest-end Ryzen 3 3200U gives you SMT, but is only a dual-core. For more budget-focused laptops, AMD is also introducing a new Athlon 300U that features two cores with SMT. Besides the SMT variable, AMD will also use GPU core count to differentiate between its various chips. The Ryzen 7 chips, for example, all feature 10 GPU cores, while the Ryzen 5s get eight Radeon Vega cores. Notch it down to a Ryzen 3 3300U, and you’re down to six GPU cores while the Ryzen 3 3200U and Athlon 300U lower it to three cores. In terms of gaming performance, AMD says to expect about 87 fps with the Ryzen 7 3700U and its 10 Radeon Vega cores in Rocket League on low graphics settings. For context, AMD said a Core i7-8565U “Whiskey Lake” with HD 620 graphics will hit about 73 fps. In Fortnite, AMD said the Ryzen 7 3700U will run in the high 50s fps while the Core i7-8565U lands in the high 40s. For the most part, these frame rates line up with desktop APUs, which are definitely in the 720p range at low to medium settings. You can read more about APU performance in our review of the Ryzen 5 2400G with Radeon Vega graphics here. With its new Ryzen processors (we’re not sure whether they’re called APUs or CPUs), AMD is offering both 15-watt TDP U parts and 35-watt TDP H parts—and the differences between the two are unclear. When you look at AMD’s spec sheet, the U and H parts appear to have the same base and boost clocks. GPUs specs also appear to be the same, with no differences between the high wattage and ultra low wattage chips. We can only surmise they’re basically very similar parts, but the H parts are labeled for higher wattage demands, such as in a gaming laptop. It’s quite a different approach than what we see in Intel’s current lineup. Intel’s top-end Kaby Lake R chip has up to four cores in a 15-watt TDP while the top-end Core i7 Coffee Lake H has up to six cores in a 45-watt TDP. 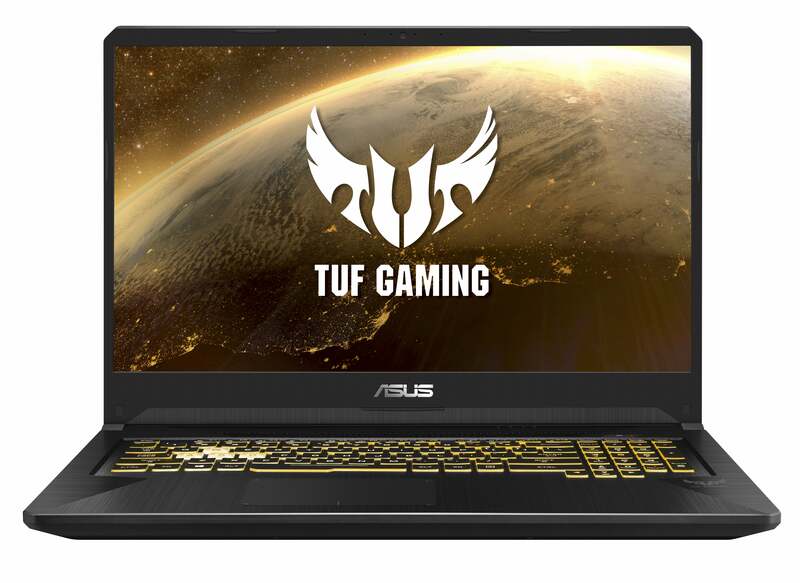 The new Asus FX705DY features AMD’s new Ryzen 5 3550H with onboard Vega graphics plus a Radeon RX 560X discrete graphics card. Specs are fun to discuss, but what we all want to know is how these laptop chips will perform. AMD said a Ryzen 5 3500U will outperform an Intel Core i5-8250U by up to 14 percent in PCMark 10’s web browsing test. In Adobe Photoshop, AMD’s numbers say a Ryzen 5 3500U will complete an image transformation in 56 seconds while a Core i5-8250U will take 77 seconds. Much of that Photoshop performance seems to come from the GPU acceleration, though. AMD’s other big win is finally getting into Chromebooks. AMD said its A6-9220C and A4-9120C will appear in several Chromebook designs, including machines from HP and Acer. Please note these chips don’t feature AMD’s darling Ryzen or Vega graphics cores. Both the A-series of chips are 6-watt dual-core CPUs with Radeon R5 graphics and are built on a 28nm process. They’re basically Stony Ridge APUs that have been kicking around for a couple of years. The vintage, however, doesn’t matter that much in Chomebooks, which typically would see an upgrade from the Intel Atom derivatives they've run up to now. From a performance point of view, AMD said the A-series APUs deliver more than the typical Celeron N or Pentium N chip. For example, AMD said the A4-9120C is about 33 percent faster than a Celeron N3350 in media editing. Web browsing and web apps would be up to 23 percent and 13 percent faster, as well. In some ways, AMD’s entry into Chromebooks may actually be more significant than its entry into gaming laptops. AMD’s Ryzen cores were always expected to go up against Intel’s CPUs, but why the company never made it into Chromebooks has been a major mystery. Company officials told us in 2015 that they didn’t see money in Chromebooks, so they didn’t care. But with Chromebooks taking off like a rocket in the education sector, that doesn’t look like a good decision in hindsight. What’s important today is that AMD is finally getting in on the Chromebook action. With AMD getting in and pushing a performance edge, Intel may finally get real competition in Chromebooks—especially because ARM-based Chromebooks have been run out of town on a rail.